Payless ShoeSource, is expected to close its more than 2,000 stores, including some in Maine. Payless ShoeSource Inc., a discount shoe retailer, will liquidate its more than 2,100 stores in the United States, including a handful in Maine, as early as next week. This is the second bankruptcy filing for the company, which in April 2017 filed for Chapter 11 protection and reorganized after shedding 400 stores. The bankruptcy is likely to be the largest-ever retailer liquidation, according to the Wall Street Journal. Payless ShoeSource has stores in the Maine Mall in South Portland, and in Auburn, Windham and Westbrook. There are also Payless stores in Bangor, Augusta and Waterville. 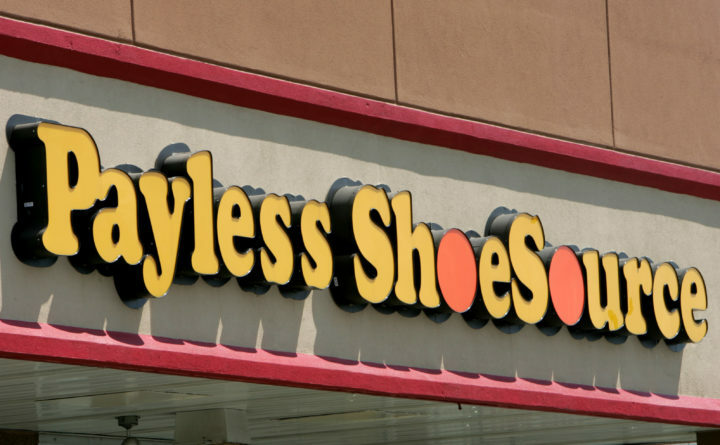 “Payless will begin liquidation sales at its U.S. and Puerto Rico stores on Feb. 17, 2019, and is winding down its e-commerce operations,” Payless spokeswoman Lauren Jeffords wrote in an email to the Bangor Daily News. “We expect all stores to remain open until at least the end of March and the majority will remain open until May,” she said. Jeffords said the liquidation does not affect the company’s franchise operations overseas or its Latin American stores, which remain open for business as usual. Founded in 1956, the Topeka, Kansas, company planned to move most of its headquarters to Dallas last fall. It planned to auction its headquarters via online auctioneer Ten-X last December, but that auction was delayed and is no longer listed on the Ten-X website. Anonymous sources told Reuters on Friday that Payless had tried unsuccessfully to find a buyer. A buyer still could emerge, they said, but the company is preparing to run going-out-of-business sales at all of its locations starting next week.